The latest in a long line of JRPG (Japanese Role Playing Game) titles has finally launched, albeit under the radar. Will the continuation of the "Tales" franchise be able to stand out? Arms Race: The narrative of Xillia revolves around an upheaval of peace in the world of Rieze Maxia as the countries spread across the world are plunged into a war, fighting for a mysterious device known as the Lance of Kresnik. 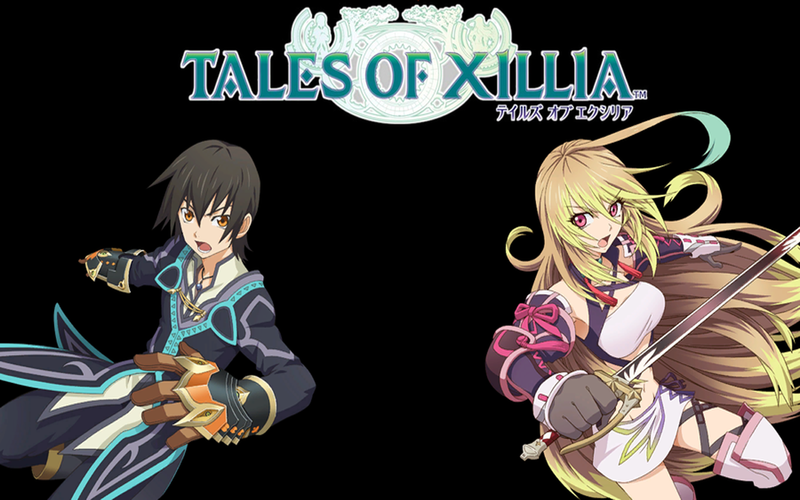 Tales of Xillia, like previous installments in the "Tales" franchise as well as pretty much any JRPG worth its bones, focuses heavily on the storyline and the pilgrimage from start to finish. Xillia allows you to play through the game from one of two perspectives and from the start you are able to choose either the young doctor Jude Mathis or the supernatural Milla Maxwell as your protagonist. Xillia assumes that you will not only play through the game entirely, but do it twice using both characters. Although a bold proclamation, it quickly becomes clear that to enjoy the full spectrum of the narrative that is a task you will undertake (and doing so happily, I might add). Excelling at voice acting and complete storytelling through well-crafted dialogue, the storyline progresses very well and is told in a fashion that will be familiar to veterans of the "Tales" series. The storyline can be a bit difficult to follow at times for newcomers to the franchise but for the most part the plot is well done in many ways, coming together in a comprehensive and engrossing manner. No Makeup: Unlike many (most) titles today, Xillia renders the vast majority of the game using almost entirely the in-game engine. Cutscenes and pivotal moments in the story are often depicted using the in-game engine, and this allows the action to move quickly and smoothly without those moments where you put down your controller. That said, Xillia features interesting, anime style graphics but they are clearly a step below titles that release at this point in the Playstation 3 lifecycle. This is expected, however, when you consider that Tales of Xillia was released two years ago in Japan and is just now making its way to westerners. The visuals are not atrocious but they look considerably lower grade than one would expect from a "new" title launching in 2013. The lack of sharp graphics are balanced by the fact that the game has extremely quick loading times and runs smoothly almost the entire time the disc is gracing your console. Group Love: In terms of actual gameplay, Xillia does not revolutionize the JRPG genre but does a good job of adding a surprising amount of depth and excitement into an otherwise slower paced category of games. Owning fast paced combat, Xillia focuses the battles on quick attacks and chaining your abilities with those of your party members. Each character in your party has special attacks and skills called Artes that can help turn the tide of a battle, but the combat becomes deeper when you delve into swapping characters on the fly mid-combat, the AI of your party members and more. The dynamic of linking your attacks with those of another character is quite intriguing and in tougher battles it can be pivotal to put everything together, combining Artes, character swapping and attack chaining to secure victory. The title hits a new level of depth though, when it comes to the classic art of leveling up and gaining experience. Although inexperienced or simply unwilling players will have the option to auto-level their characters as they gain experience, there is a whole world to dive in to for upgrading you and your friends. When you level up, rather than gain run-of-the-mill "experience", you are introduced to the Lilium Orb system. When you reach that new level you are given points to spread across a wide grid of abilities that allow you to carefully micromanage the development of your characters. You are perfectly welcome to create a party full of powerhouse brutes but you are also given the freedom to explore the possible diversity of your party, perhaps developing some of your allies into magic-wielders. Deeper into the rabbit hole is the ability to dive into Skills, which, like Artes, are useful in combat but cannot be directly unleashed as an attack. Instead, Skills provide passive bonuses to you such as resistance against a specific kind of attack or statistical buffs. Rent vs. Buy: Tales of Xillia does a lot of things right and aside from subpar graphics, it is safe to say that this title delivers. Xillia, which is sure to be a hit amongst JRPG fans, has already has a sequel launched in Japan with the western version coming in 2014 and I feel that helps show how well received Xillia is (and will be). A generally solid storyline is coupled with intense, fast paced combat that is uncharacteristic of JRPG titles following the "classic" model of slower paced, or even turn based, combat. The game is far deeper than it seems on the surface and full completion of this title would take more time than I would care to count, considering a single play through can easily take 30 hours, likely far, far longer. For those that do not have a complete aversion to this kind of genre, Xillia has solidified itself as a must-play and likely one of the last JRPG must-have titles before the next generation of consoles is upon us.